There are three species of salmon in New Zealand: Chinook salmon Oncorhynchus tschawytscha, Sockeye salmon Oncorhynchus nerka, and Atlantic salmon Salmo salar. Only Chinook salmon (also known as “Quinnat” or “King salmon”) are successfully farmed on a significant scale in New Zealand. This is in contrast to the rest of the world where salmon aquaculture is focused on Atlantic salmon, except for some Chinook salmon in Canada and Coho salmon in Chile. “King salmon” is the name commonly used for Chinook by the salmon farming industry and markets. New Zealand has no native salmon or trout and all the salmonids were originally imported as ova. Although there is a very significant recreational trout fishery in New Zealand often sustained by hatchery output, farming of trout in New Zealand is illegal. Attempts have been made to farm the sockeye and Atlantic species in New Zealand but for various reasons these were unsuccessful such that only Chinook is now farmed. The Chinook salmon we have today were successfully introduced by the Marine Department in the hope of starting a commercial rod fishing and canning industry although this never developed. Those introductions were via a hatchery on the Hakataramea River, between 1901 and 1907 these imports were from the Baird Fish Station on the McLeod River a tributary of the Sacramento River in California. 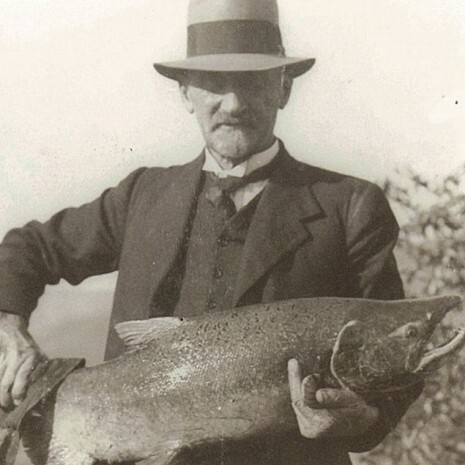 An earlier attempt to introduce chinook salmon was made for a recreational fishery by the Hawkes Bay Acclimatisation Society in 1875 (these fish were released in the rivers of the Auckland Acclimatisation Society) but this and several other attempts in various parts of New Zealand are regarded as having been unsuccessful. Chinook salmon became established with self sustaining returns to rivers on the east coast of the South Island and to a minor extent on the west coast of the South Island. Further imports of live salmon into New Zealand have not been permitted for over 50 years. Ova was exported to Australia between 1910 and 1946. Interest in salmon farming grew steadily during the 1970s as part of a worldwide trend towards commercial aquaculture. New Zealand’s first commercial salmon farm was established in 1976 as an ocean ranching venture at Waikoropupu Springs in Golden Bay, and made its first sales of freshwater-reared salmon in 1978. Other early ocean ranching farms included an ICI/Wattie joint venture on the lower Clutha River, and larger-scale hatcheries on the Rakaia River and the nearby Tentburn coastal site. The first sea-cage salmon farm was established in 1983 in Stewart Island’s Big Glory Bay by BP New Zealand Ltd. This was soon followed by the development of farms in the Marlborough Sounds.